David Warner, who top-scored with a 47-ball 51, was out in the 17th over off the bowling of Rabada. That triggered a procession of Sunrisers batsmen towards the dressing room. Rabada and Morris claimed the last six wickets as Sunrisers surrendered tamely. 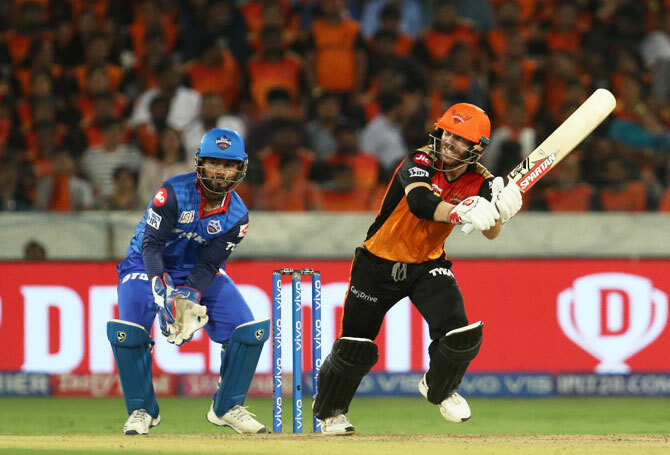 The Sunrisers’ openers Warner and Jonny Bairstow (41) made a watchful start as they looked for accumulating runs without taking risks. Warner was uncharacteristically slow and it was left to Bairstow to take his chances. Bairstow hit Ishant Sharma a couple of fours and a six off Morris but the home side could only score 40 for no loss at the end of Powerplay overs. The opening duo reached the 50-run mark at the end of the eighth over and began to look for big shots. The Sunrisers, however lost Bairstow at an inopportune juncture with Paul getting rid of him in the 10th over. At the halfway stage, the Sunrisers were 73 for 1 with 83 more runs needed for a win and they were on track. But the dismissal of captain Kane Williamson (3) off the bowling of Paul in the 12th over was the beginning of the pressure on the Sunrisers. 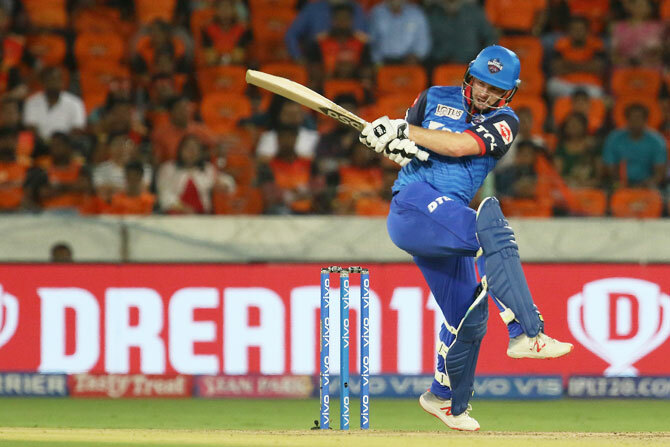 Bhui’s dismissal in the 16th over piled on further pressure on the Sunrisers. The asking rate climbed up to 13-an-over at the end of 16th over and the home side wilted under pressure with Warner finally falling in the 17th over. 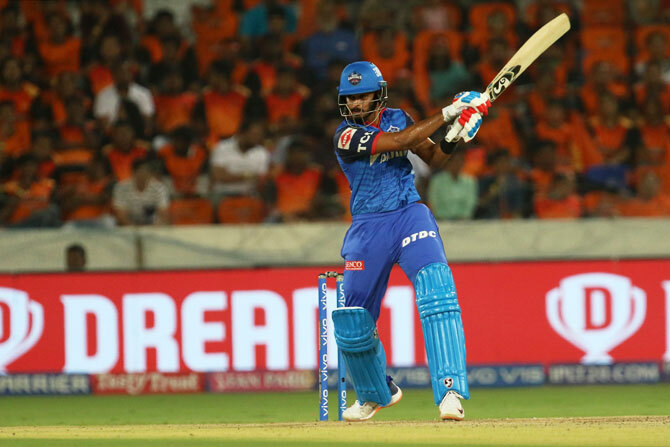 He hit the ball straight into the hands of captain Shreyas Iyer off the bowling of Rabada. 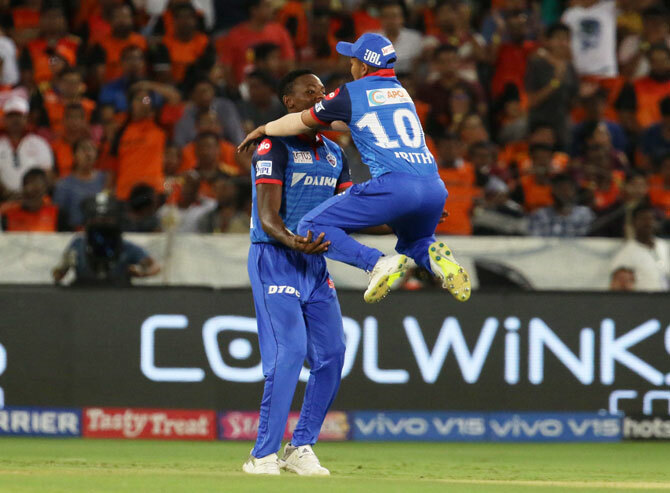 Rabada got rid of Vijay Shankar (1) off the next delivery, and with it, the game was as good as over. 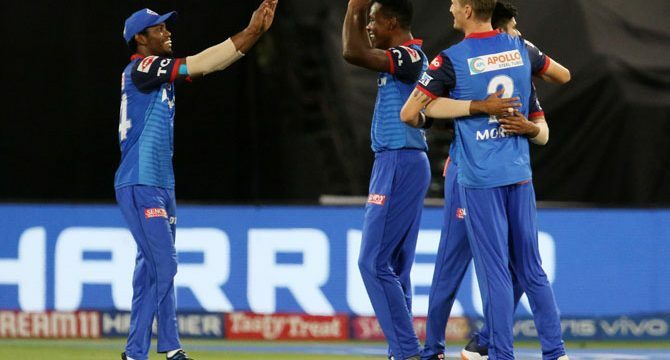 It was then the turn Morris to take three wickets in the 18th over before Rabada ended the Sunrisers’ run chase with two wickets off consecutive deliveries. 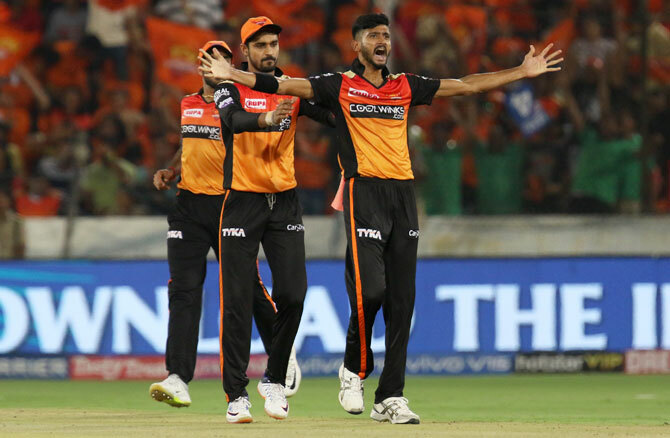 Young left-arm pacer Khaleel Ahmed grabbed three key wickets in an impressive spell to help Sunrisers Hyderabad restrict Delhi Capitals to 155 for 7 in their IPL match here Sunday. In his next over, Ahmed got rid of Dhawan who miscued a bouncer as Bhuvneshwar Kumar completed a catch at fine leg. Dhawan had scored an unbeaten 97 in Delhi’s win in their last match against Kolkata Knight Riders. 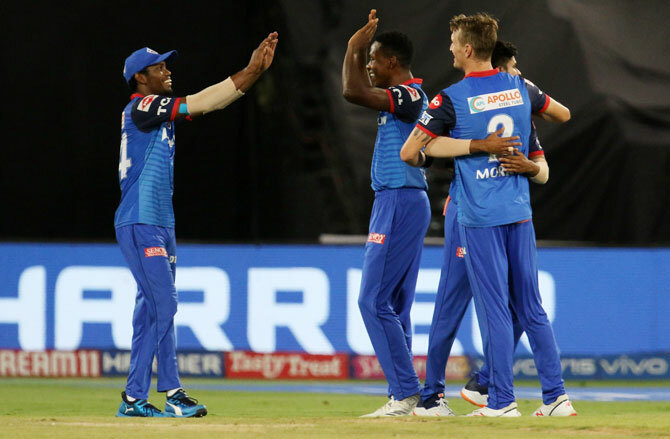 One-down Munro, however, was in a punishing mood and he smashed Ahmed for a four and a six each in the fourth and sixth overs. Delhi reached to 51 for 2 after the Powerplay. 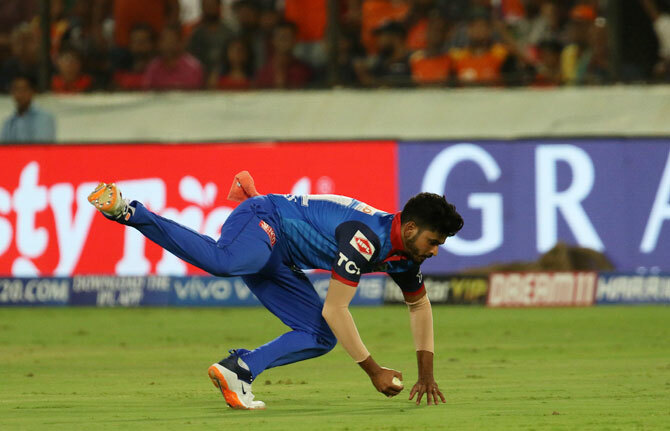 The Kiwi batsman was out in the eighth over as he got a thin edge off the bowling of with Abhishek as Bairstow took the catch behind the stumps.